Augustine loves God and loves people and knows firsthand the awesome and perfect love God has for everyone. It has long been his mission to get the message of God's Tru Luv out to as many as possible. With a sincere and humble approach Augustine brings a style of ministry that is inspired by God's Love, God's Word and God's Spirit. His belief that, "everyone is someone in Christ" brings the understanding that we are all truly called to Love God the way He loves us and we are to express, share and demonstrate that Love to the world (John 13). As we together in unity make Jesus the center of our lives Augustine knows that the body of Christ will continue to stand and will fulfill the desire of God's Heart regardless of the times or condition of the world for however long God has us here. In every area of life God has influenced Augustine, and as he has stated "regardless if in my failures or triumphs I have always known, God is present and has a plan that is perfect just as He is perfect." Through this he has been fortunate to have been active in ministry for over 26 years serving passionately as a children's minister, youth minister, and as an assistant and senior Pastor, he has also been able to apply Christian values to his previous work field in social work at Adobe Mountain Juvenile Institution, Child Protective Services and the City of Phoenix. 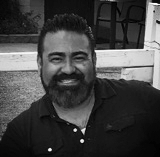 He has also loved helping coach little league at Clarendon and currently serves as the Men's Program Director for Choices Pregnancy Center of Greater Phoenix. Augustine is currently pursuing his MDiv at Phoenix Seminary and has acquired a certificate of completion in Biblical Counseling from Liberty University. Augustine is truly grateful for the honor of ministry and is thankful to all those to whom he has been fortunate enough to share his life in Christ with. He has been married to Patsy, his love for over 26 years and is blessed to be the father of three great kids. Patsy grew up surrounded in church life, but honestly acknowledges that she really did not come to truly knowing Jesus until her twenties. As she has shared with so many, by simply crying out to God, “Jesus help me, I really want to know you,” the Lord has set her on a path to receiving a deep understanding of His Love, His Word, and His Spirit. Her love for people is shown through the way she advocates for men, women, and families in crisis situations at "Choices Pregnancy Center of Greater Phoenix", where she also teaches parenting classes. Here, at TLC you’ll find her planning and scheduling events aimed at discipling women, and overseeing the Sunday school classrooms. She has been married to her best friend, Augustine for over 28 years. Patsy and Augustine have been blessed with three children: Briana, Arianna, and, Elijah and a grandson, Noah. Dario has faithfully been serving the Lord for over 20 years. Dario has a tremendous heart for men to take their place in the kingdom of God to be used to help mentor future generations. Dario has given himself completely to the ministry of Christ and loves serving God and His people. 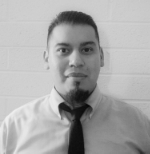 Dario also serves as a male mentor advocate for "Choices Pregnancy Center of Greater Phoenix" and is currently teaching Fatherhood classes. He has been married for over 15 years to his wife, Adrianna and they have two children, their daughter Ava & son Dario. Jesus has been apart of TLC since 2013. Jesus has a sincere and genuine love for God and desires to be used in any way that he can. He has a true servant's heart. Jesus works with both men and young men at TLC and enjoys being a brother and friend to everyone. Jesus is also a member of "Gideon's International", where he has dedicated himself to telling people about The Gospel. Jesus is happily married to his wife, Erika and is the father of five. Adrianna has been serving the Lord since her youth. Adrianna is active in various parts of TLC ministry and truly loves seeing Christ formed in the lives of women. She is filled with love and compassion, and has a heart felt desire to see all women completely fulfilled in their lives as wives, mothers, daughters, and even as friends. Adrianna has learned to balance the success of her career and home by placing Christ as the center of her life. She is happily married to her husband, Dario and is currently enjoying being the mother to her two little miracle children. Erika has been apart of TLC since 2013. Her special approach to ministry truly demonstrates humility and grace. Erika's willingness to be a friend to anyone she encounters is truly a reflection of God's true love. Erika is never afraid to get her hands dirty to help build the kingdom of God. She is the lead teacher of our TLC nursery where she ensures that children, even at a young age are being taught the love of Christ. Erika is happily married to her husband, Jesus and together they parent their five children. Irvin loves Jesus and young people. He desires to see youth build a true and genuine relationship with Jesus Christ through God's Word, followed by action. This challenges youth to be uncompromising in their faith, regardless of where they find themselves. Irvin is happily married to his wife, Xenia where together they parent their beautiful daughter, Ariel. Rick has been raised in the Lord for the majority of his life. He has a love in bringing the ministry of corporate worship to lift up the wonderful name of Jesus. He has a strong felt desire to see the body of Christ all come together and bring honor and Glory to God through music. Rick also balances his family, ministry, and career while being happily married to his wife, Eunice where together they parent three beautiful children. Elsa has been faithfully in love with the Lord over 35 years. Her heart for children is truly expressed in everything that she does. She brings the ability to serve children with patience and love. She also gives herself to the ministry as needed, where she is able to encourage mothers by using her special testimony of how the Lord answered her prayers of serving Christ together with all her family. Elsa is married to the love of her life, Alex for over 37 years, and together they have three sons and seven grandchildren. Briana has had the honor of being in raised Christ. She humbles herself in being real and genuine, and treats all children as her own brothers and sisters. Briana has submitted herself under the leadership of the TLC ministry, and enjoys seeing even the young draw closer to the Lord. Briana is the founder of "The Faith Foundation Scholarship", and is active in youth and young adult ministry. Briana is a graduate of Grand Canyon University where she received her Bachelors degree in Early Childhood Education, and is continuing to pursue her Masters Degree in Early Childhood Special Education. 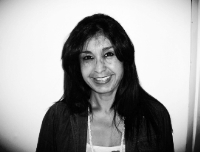 Briana currently teaches first grade in the Alhambra Elementary School District,. Eunice is the assistant nursery coordinator at TLC. She has been teaching Sunday school for about 15 years. Eunice truly has a servant’s heart, and enjoys caring for people in and out of church. She raises three children, alongside her husband, Rick and together they both play a vital role in our church choir.